No news on the Clooney front. He was seen at a screening of 'The Promise' and walked the carpet while Amal stayed behind the scenes. Wearing a dress with alcoholic beverages on it seems a little inappropriate for something that is such a serious subject. And she might be a little taken aback about people discussing how small her baby bump is. Beyoncé is having twins at around the same time she LOOKS pregnant Amal not so much! 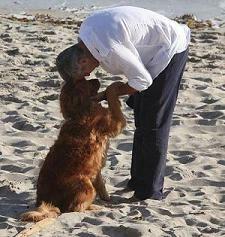 Pictures, stories, gossip, videos lot's of things to take a look at here at George Clooney Aficionados!